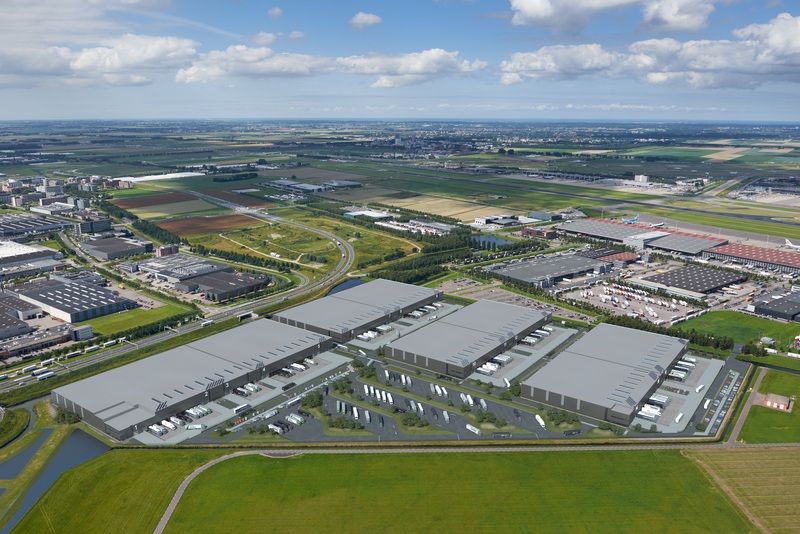 SCHIPHOL 9th of January 2018 – Rapid Logistics and on one of the world biggest logistics provider have leased 30,000 sqm on Green Mountains Logistics Park Schiphol, a development of Borghese Logistics en AEW. With these transactions, the total first phase of the development is fully leased at the delivery date. The second phase of the development will start shortly, negotiations with prospects have already been started. 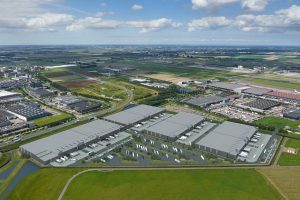 The total Green Mountains development is 100.000 sqm including warehouse space, office space, car- and truck parking places, divided over 4 separate buildings. After an extensive selection of options the tenants have chosen for this location because of the extraordinary accessibility adjacent to the cargo hub, the good visibility from the road and runway and the possibility to create future growth within the development. Rapid Logistics is a logistics service provider with offices in Rotterdam en Amsterdam Schiphol Airport. Both transactions were done by INDUSTRIAL real estate partners which advisor is mandated together with Cushman&Wakefield for letting activities.